Apple introduced Face ID – facial authentication system with iPhone X back in 2017. The company claimed it to be more secure than the Touch ID. While this might be true, an identical twin brother or sister can easily bypass Face ID. For the 2018 iPhone XS lineup, Apple has claimed Face ID to be faster than ever before and that it is still more secure than Touch ID. 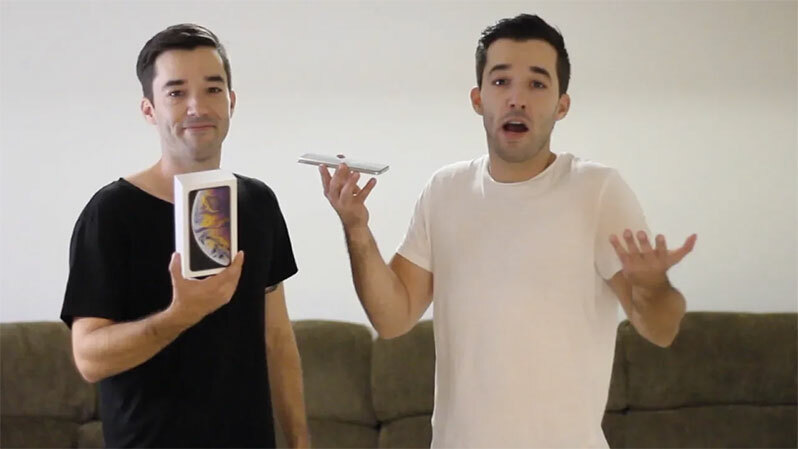 The twin brothers who are behind LifeofTwinz YouTube channel has conducted the twins test on the newly launched iPhone XS and found out that they are still able to unlock iPhone XS if one brother registers their face and the other tries to unlock the phone. They also demonstrated that they were able to unlock the iPhone XS Max even when one brother has a beard. The beard made little to no impact as Face ID still unlocked the iPhone XS. In the third test, they both wore a hat and tried to unlock the device using Face ID. And once again, Face ID was easily fooled with their identical faces and unlocked the iPhone. The company, while introducing the Face ID last year, has said that identical twins might be able to bypass Face ID. Second, the twins in the video really do look identical and it is hard for the human eye to tell the difference apart from their dressing and styling. So, I think Face ID should be forgiven for getting confused between them. Did you own an iPhone X or have bought the latest iPhone XS or iPhone XS Max? What do you think about Face ID on iPhone? Did you find any improvement in 2018? Let us know in the comments section below.